Enjoy the beauty of Koh Samui’s coastline as you relax on Lamai Beach, discover the Buddhist culture at temples and wander market stalls to taste the local coconut sweet called galamae. Lamai Beach has a bustling southern end, full of bars and markets, and a quieter northern end where the beach tapers into mud flats. The area has a diverse range of resorts, from high-end yoga retreats and spas, to cheap and simple bungalows. There’s plenty of beach for sunbathing and swimming, but for those keen to do some dives, there are several dive shops in Lamai Beach which run trips to Koh Tao. To see some of Thailand’s typical green fields and fishing villages, head south. Have a giggle at the Hin Ta and Hin Yai (Grandfather and Grandmother Rocks) near Hua Thanon fishing village. These genitalia-shaped rocks are said to be the transformed bodies of an elderly couple shipwrecked in a storm on their way to negotiate a marriage for their son. For a more reverential experience, visit the Wat Lamai temple’s Folklore Museum to see the historic collection of items that tell a story of Koh Samui throughout the ages. In the Wat Khunaram temple you can encounter the miracle of the mummified monk Loung Pordaeng, whose body, encased in a glass coffin, has remained largely undecayed for over 40 years. In the evenings there’s plenty of nightlife options to explore. Head to Central Plaza, to enjoy a beer from one of the many outdoor bars, grab some street food and catch a round of Thai boxing. If you’re after a more relaxed, upmarket atmosphere, head to one of the cocktail lounges. On Sunday there is a night market in Lamai, offering up some of Thailand’s tastiest treats such as the caramelized coconut sweet galamae, fried insects and freshly caught fish which you can eat as you browse the souvenir stalls and enjoy the live music. Bask in the tranquility of this little village with a golden beach before dancing the night away at the full moon party on Koh Phangan, just a ferry ride away. 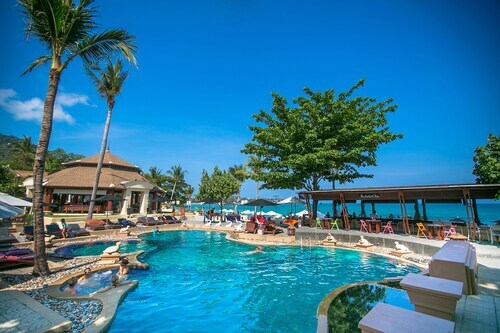 Located in Koh Samui, this beachfront resort is in the city center and within a 10-minute walk of Lamai Beach and Lamai Night Market. Hin Ta and Hin Yai and Guan-Yu Koh Samui Shrine are also within 3 mi (5 km). 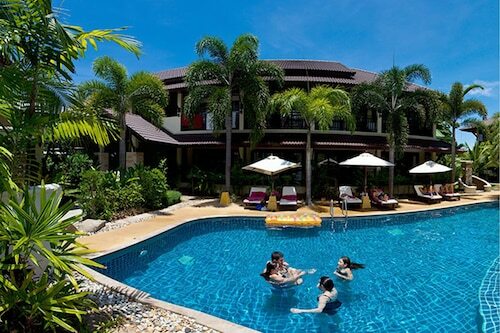 This Koh Samui hotel is located by the sea, nestled on the beach a short distance from Coco Splash Waterpark, Silver Beach, and Hin Ta and Hin Yai. 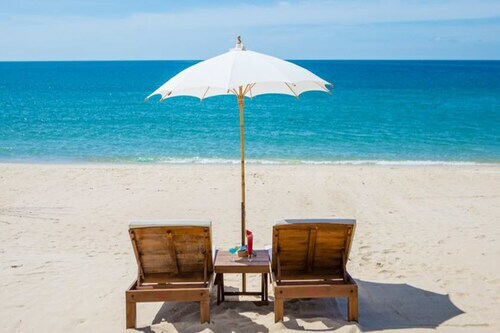 Offering direct access to the beach, this Lamai City Center hotel is steps from Lamai Street Night Market and Lamai Beach. Silver Beach is 1.6 mi (2.6 km) away. Located in Lamai City Center, this beachfront resort is in the city center, just steps from Lamai Night Market and Lamai Beach. Silver Beach is 1.8 mi (2.9 km) away. 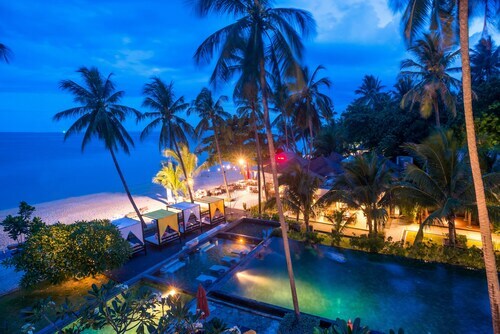 Situated by the ocean, this hotel is steps from Lamai Street Night Market and Lamai Beach. Silver Beach is 1.5 mi (2.4 km) away. 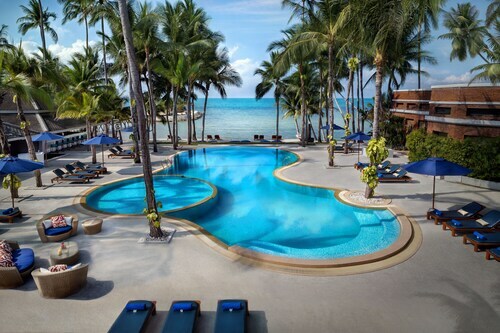 Located in Koh Samui, this beachfront resort is connected to a shopping center, just steps from Coco Splash Waterpark and Lamai Beach. Silver Beach is 1.7 mi (2.7 km) away.